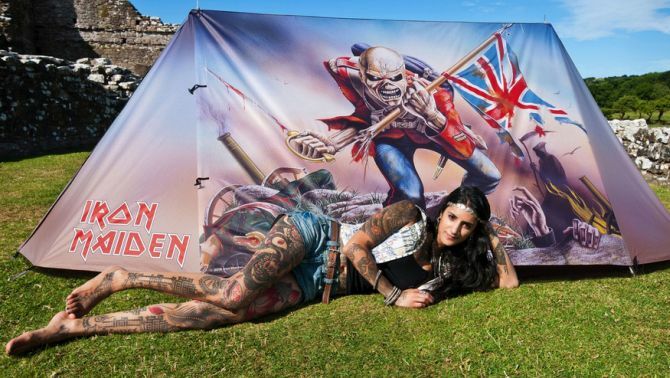 No matter you’re a camper or regular music festival goer, this Iron Maiden two-person tent will always be your comfortable shed wherever you go. Fashioned after the iconic Derek Riggs artwork to “The Trooper” single, the tent is water-proof, as well as it can withstand any climatic condition with ease. 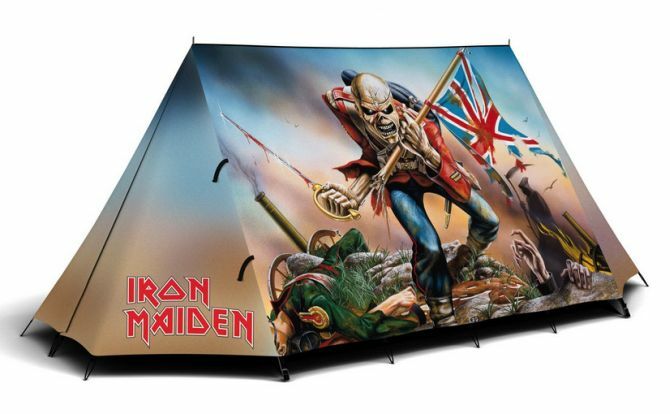 So, wherever you go for a festival and whatever weather is thrown at you – you savior Iron Maiden tent will always be there to protect you. The tent has A-frame construction, whereas interior comes with a large porch for storage. This means all your luggage and personal belongings can be adjusted within the tent, without compromising comfort. These are limited edition tents, so you need to hurry up and grab one. It is available on Field Candy for £199 (approx. US $284). 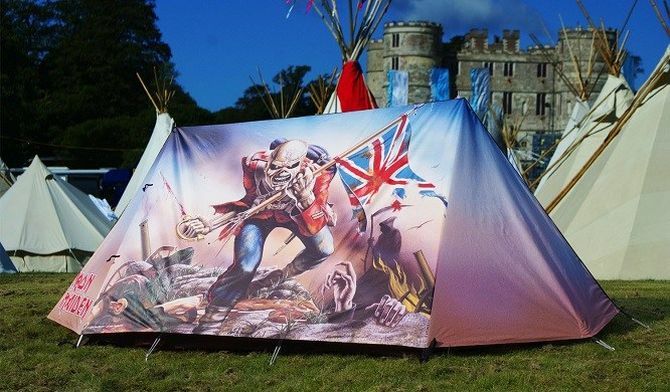 All the Iron Maiden fans out there, let’s camp together while following the band’s upcoming tours.